Contributions will count towards the Marathon through October 7th. WHERE: Lake Oswego Golf Course. Each team (of two people) will play a combined 100-holes of golf (50 holes each) in a best ball format. Prizes and awards will be handed out to the three lowest scoring teams. Additionally, there will be contests and awards handed out throughout the day. The month leading up to the tournament, teams will do their best to fundraise for Oregon Jr. Golf. Awards are also given out to teams that do the best job fundraising. Oregon Junior Golf has partnered with Titleist to be able to award teams with prizes if they surpass certain donation levels. Participants will also receive a dozen ProV1’s each. All proceeds from the 100-hole marathon will go towards the Oregon Jr. Golf Fund, Inc. 501(c)(3) - Tax ID # 94-3091689. Oregon Junior Golf is one of the nations premier regional junior golf programs that is dedicated to serving golfers of all abilities and backgrounds. Oregon Jr. Golf is dependent upon (tax deductible) donations from businesses and individuals to make it possible to provide accessible opportunities to over 1,500 youth every year in Oregon & SW Washington. 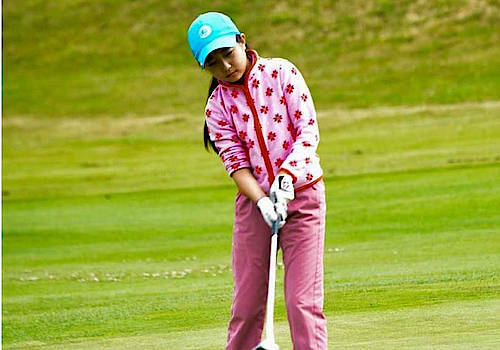 Youth golfers from Oregon & SW Washington are doing their part to sustain and grow Oregon Jr. Golf. Each team of two is dedicated to hitting their fundraising goal and leaving a mark in the organization that has positively impacted their lives. Please consider supporting one or more teams!